Fierce legendary warrior women riding on horseback are the stuff of Greek legend – but were these women real? 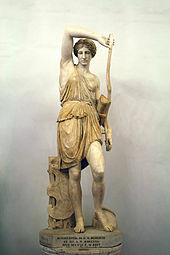 Adrienne Mayor provides a wonderful exploration of myth, legend, art, folklore and archeology across the ancient world to show that there is more than enough fact to show that the women that inspired Greek legend were very real. 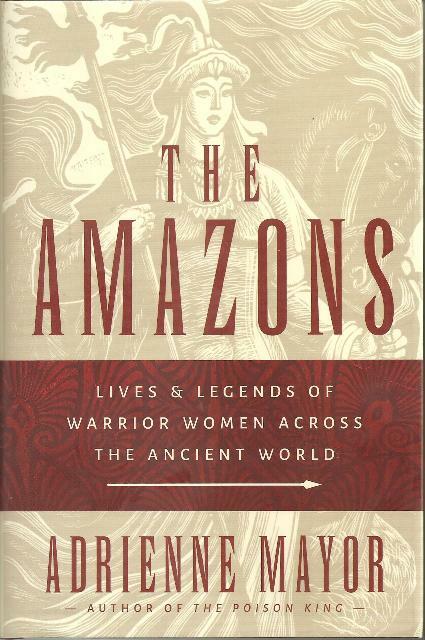 These flesh and blood women were nomadic tribes-people from the Eurasian steppes. 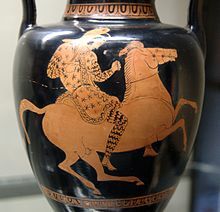 Riding of horses meant that women could become equals of men in hunting and fighting. They became very proficient with shooting bow and arrow on horseback. Nomadic culture meant that men were often away for long periods of the year on hunting (or fighting) trips leaving the women and children behind – and leading to stories of women-only tribes. Women would also hunt and fight with other tribes in the absence of men. I love that these women invented trousers in order to make it easier to ride horses – at a time when Greek men wore short skirts! It seems that they also invented iron work and made their weapons. Many graves have been found where the skeletons were surrounded by weapons and the assumption was made when they were discovered that they must be male – now proven incorrect. There seems to have been a lot more balance between the sexes back then, at least in the nomadic tribes. 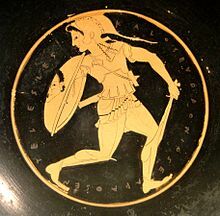 A Greek woman’s place was in the home and Greek men appeared to fantasize about these warrior women who were the equals of men. Amazon women had great sexual freedom, with the choice of when and who they consorted with. Often they would decide to make love not war with neighbouring tribes – and they all lived happily together thereafter. The modern world has a lot to learn from these sensible, practical women. Adrienne Mayor’s book is an absolutely fascinating exploration of their world. At times I found it a bit heavy going but it was so interesting that I just had to keep reading. 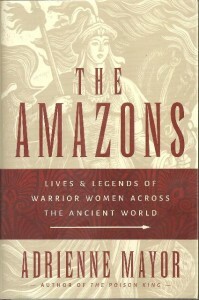 I have yet to travel to that part of the world but following the lives of the Amazons would be a fascinating journey.